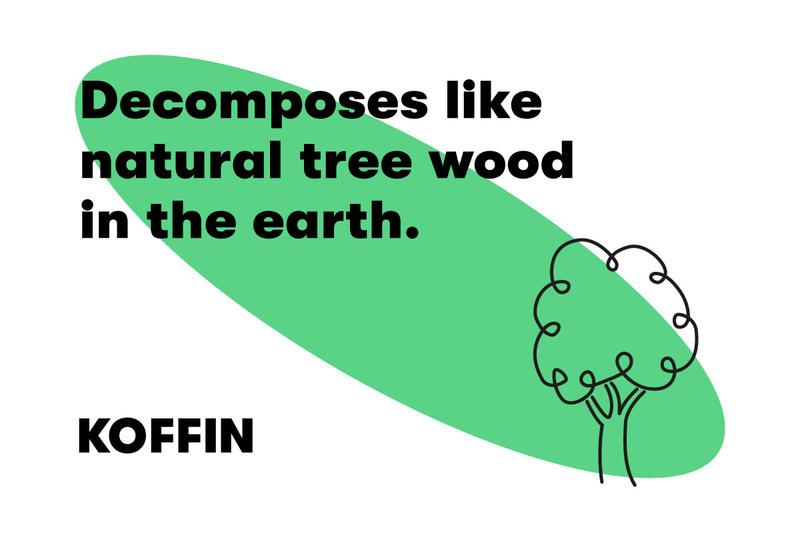 Koffin, a UK startup eco-friendly coffin manufacturer is on a mission to turn the funeral industry on its head. 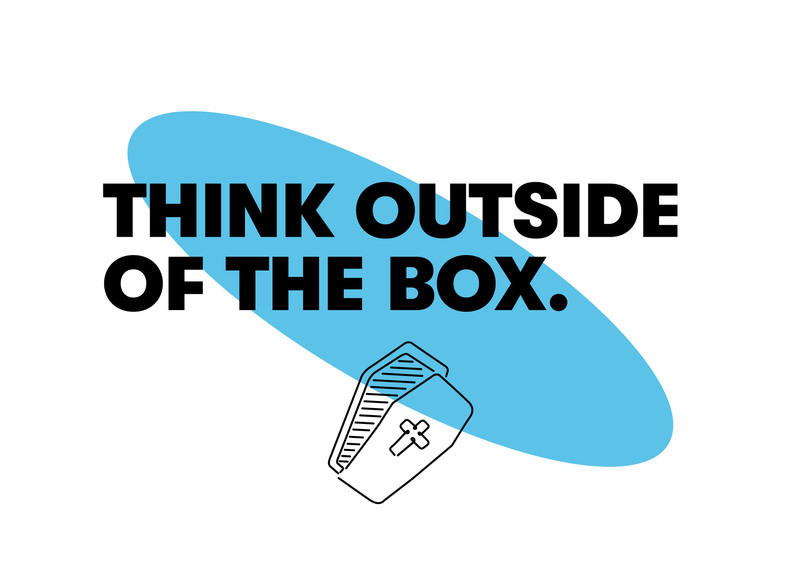 Challenging traditions and the way we think about death. 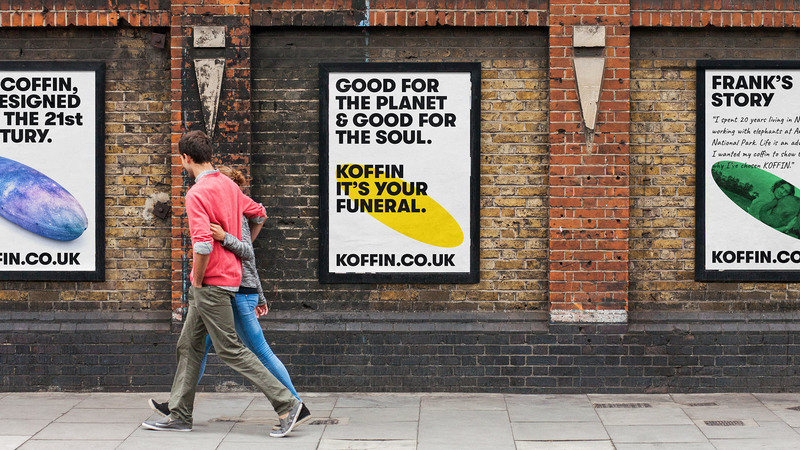 Koffins are 100% biodegradable, affordable and can even be customised. 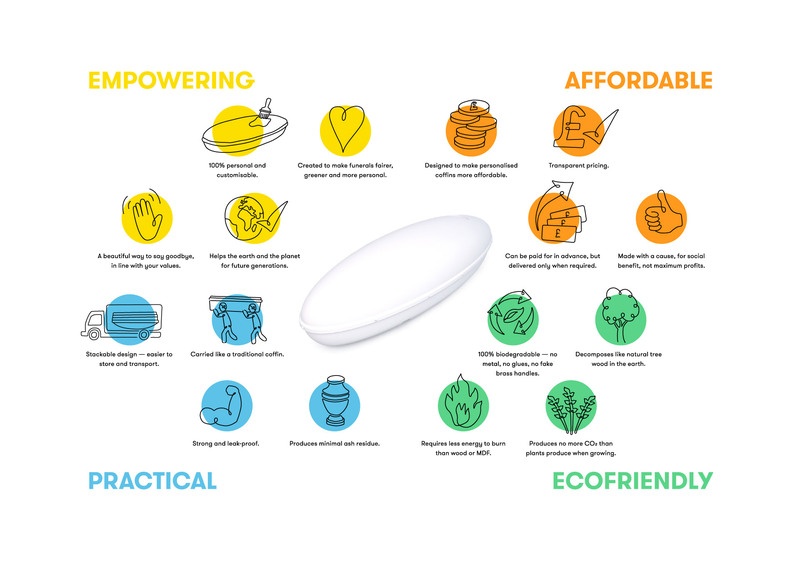 A brand and product truly designed for now. Even the shape makes a statement about the Zeitgeist. 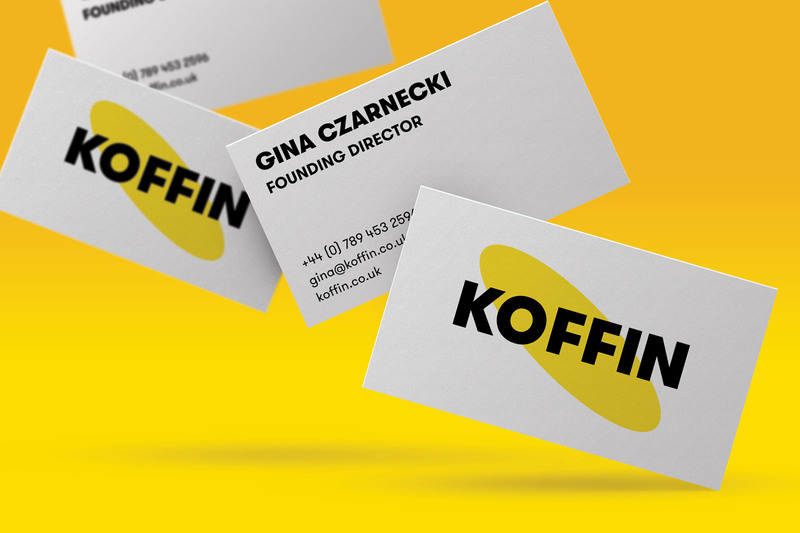 Faced with the challenge of branding such a forward thinking company, we knew that the identity needed to be just as challenging, disruptive and unapologetically bold as the brand itself. The resulting identity is one that goes against the grain, celebrates life and could even be described as a little provocative. 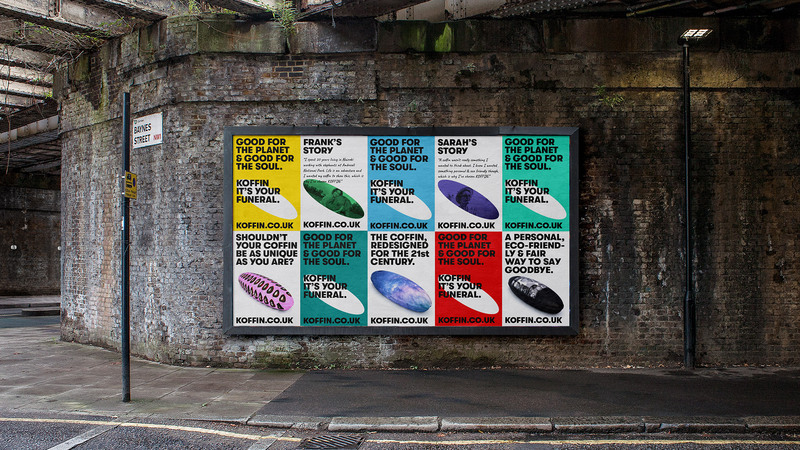 A diverse colour palette communicate a sense of celebration whilst strong, ‘no-nonsense’ typeface is unapologetic and perfect for making bold statements. The eCommerce website is equally as bold. 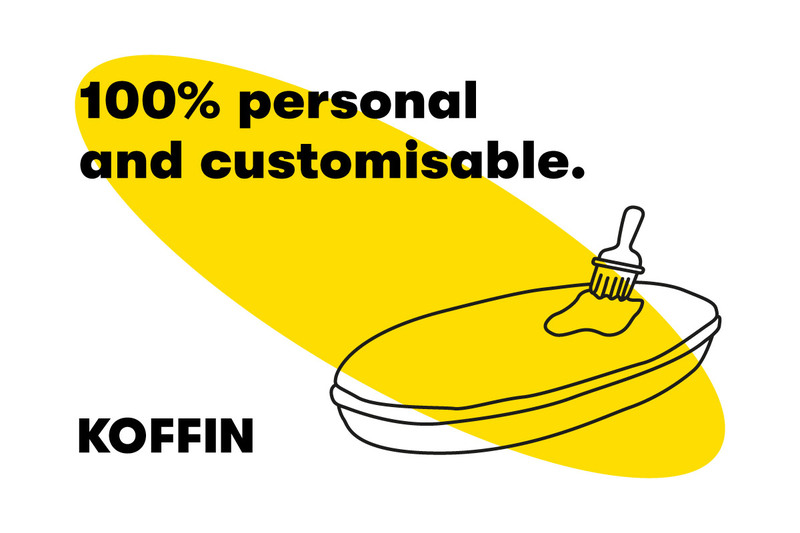 Users can choose between 3 categories of Koffins: Original, Colour & Customised – allowing the user to upload their own design. 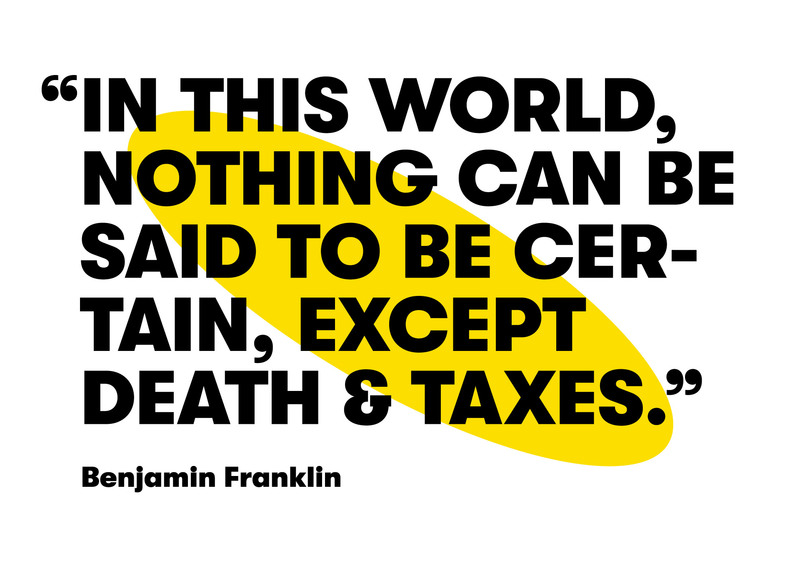 Pricing is transparent, and in keeping with the affordable ethos we developed a custom payment plan using Stripe allowing users to spread the cost over 10 months if they wished.